DoubleClick - AKA Abusybee: Play Hard Gamer! HB2U! Boy Happy Birthday Card! This is sooooooooooooooo fun! I loveeeeeeeeeeeee it!!!!!!!!!!!!!!!!!!!!!!! Such an adorable card! 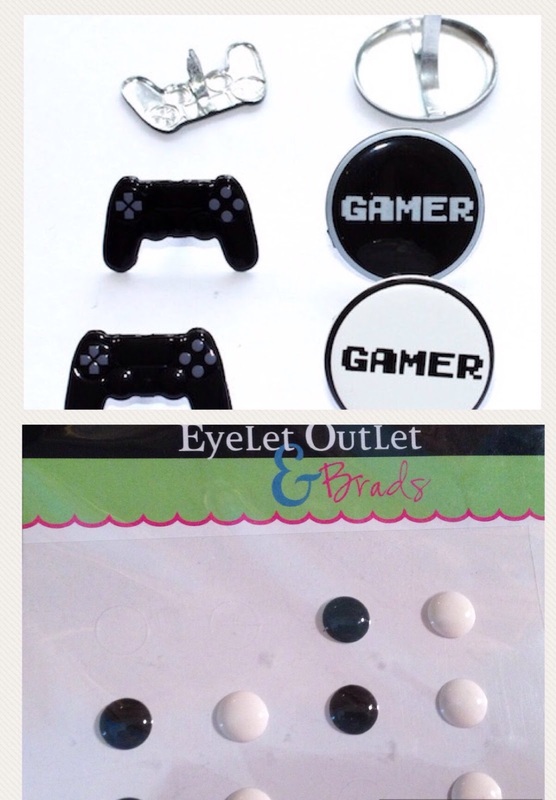 I love the gamer theme with the black and white colors! 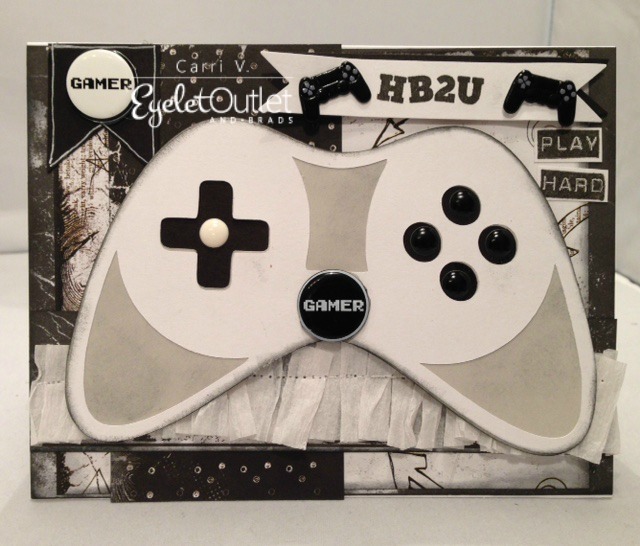 I think your game controller is totally awesome. Love the colors and the brads! This is super cool! Awesome card my friend! WOW, your controller looks amazing! Such a cool card Carri! I hope you are doing well! I am sorry I haven't been around much~my blogging has been limited for a bit due to family stuff. I am hoping to get some craft time real soon. Miss you! Fabulous and creative card...love it. This is a great card for a boy . Very cute !